As a legal professional, billing time is likely an integral part of your workday. You record your time diligently and work hard to meet or exceed your billing quotas. However, contributing to the firm's bottom line is more than simply billing hours. Realization rate is another important metric for evaluating performance. Realization rates measure the difference between what you record as time and what percentage of that time is paid by the client. For example, if you record eight hours of billable time per day but only six of those eight hours are paid by the client, then your realization rate is only 75%. The partner chooses to write off the time to keep fees reasonable for a cost-sensitive client. Obviously, your goal is to reach a realization rate of 100% or higher for each case or project. Any increase in realization rate adds profit to the firm's bottom line. It is important to record time in a way that the partner and client will recognize the value of your efforts. Detailed time descriptions are better than vague summaries. For example, "8 hours - Trial prep" does not adequately describe how you spent your day. However, "8.0 hours - Reviewing, categorizing and summarizing 350 exhibits for trial" describes your efforts in a way that will make partners and clients recognize the value of your time and why the task took eight hours. Make sure that the time you spend on a task is appropriate. For example, if you bill ten hours for a research project that the billing partner believes should take five hours, the partner will feel compelled to cut your time in half. Leveraging technology to increase productivity, polishing your skills to increase proficiency and multi-tasking are a few ways to manage your time. If you are new to the job, it may take you longer to complete a task than an experienced professional. However, most clients are not willing to pay for training or for the time it takes for a legal professional to get up to speed on a case or project. The sooner you master the core competencies of your position, the sooner your realization rate will increase. Corporate or institutional clients often dictate billing guidelines that you and your firm must follow. If your billing methods depart from the client's requirements, the client may demand a fee reduction or refuse to pay for those hours. 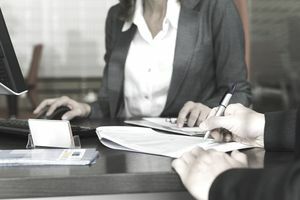 For example, if the billing guidelines require paralegals to perform deposition summaries but an associate summarizes the deposition (at a higher hourly rate), then the partner must write the task off or reduce it to the paralegal's rate. In some cases, negotiating a flat fee for a case or project can raise realization rates to 100% or higher. For example, if the flat fee for a project built in 100 hours for your time and you only work 50 hours, your realization rate will be 200%. If you and your legal team are fast workers, flat fee arrangements can work well because, unlike hourly billing models, they do not penalize workers for efficiency.